PVC-based membranes are widely noted for their thermal resistance and reflectivity, allowing building owners to reduce heating and cooling costs. Single ply PVC membrane is similar in appearance to TPO. However PVC has been on the market longer than TPO. 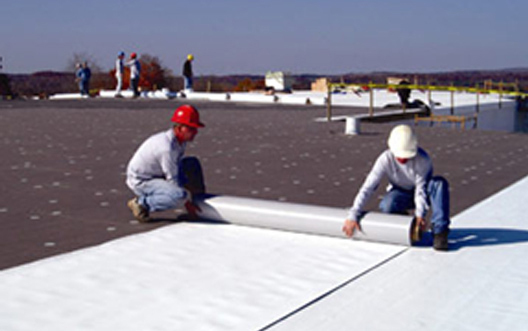 The methods and manner in which a PVC membrane is installed is very similar to that of the TPO roof described above. A PVC roofing system requires a slightly greater investment than that of a TPO roof. However the roof installation is almost exactly the same. If you want the very best thermoplastic roofing system installed, with the peace of mind that comes with heat welded seams, choose a PVC roofing system.